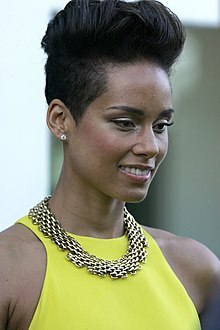 Is amhránaithe is scríbhneoir, pianódóir, ceoltóir, léiritheoir taifead, agus aisteoir Meiriceánach í Alicia Keys, a rugadh faoin ainm Alicia Augello Cook ar 25 Eanáir, 1981. Is breitheamh í Keys ar The Voice. Tá 109 gradam buaite ag Keys. Tá 291 ainmniúchán faighte aici. Tugadh an leathanach seo cothrom le dáta an 29 Nollaig 2017 ag 15:52.